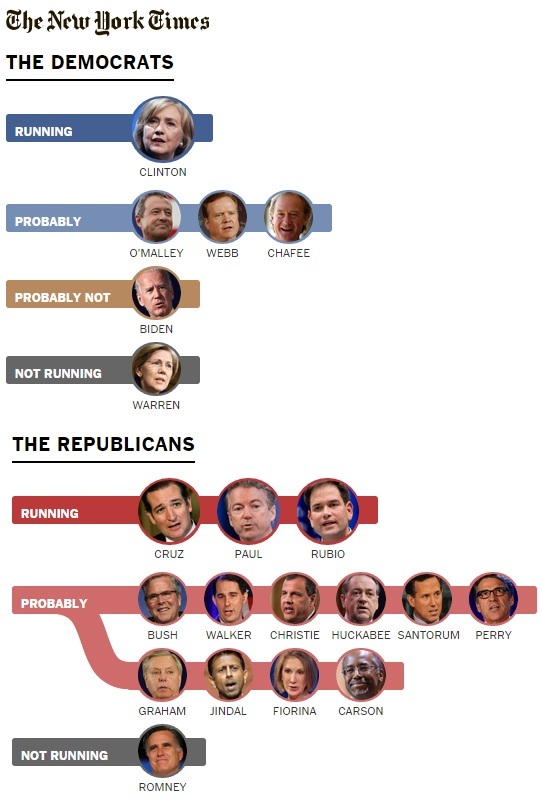 2016 United States presidential candidates- Will age be an issue? In 1984, Ronald Reagan was and still is the oldest president in American history. Ronald Reagan (Republican) was age 69 when he ran against President Jimmy Carter (Democrat), in 1980. Jimmy Carter was age 56, when he ran for re-election in 1980. Carter was age 52, when he won is first term in 1976. Ronald Reagan was age 73, when he ran for re-election in 1984, against the then former Vice President Walter Mondale (Democrat). Mondale was age 48 when he became Vice-President in 1976 and was age 56, when he ran for president in 1984. Reagan won the election. George H. W. Bush was age 55 when he became Vice-President in 1980. When George H. W. Bush took office, as President, he was age 64. In 1996, former Senator Bob Dole (Republican) aimed to defeat a second term of President Bill Clinton (Democrat). Dole was age 73 and Clinton was age 50. Dole lost the election. In 2008, some asked if Senator John McCain (Republican) was too old to be president, when he ran against President Barack Obama (Democrat). On Democratic side, Hillary Clinton was 61 at the time. McCain was age 72 and Obama age 47 (birthday August 4, 1961). President Obama will only be age 55 when he leaves office on January 20, 2017 (Inauguration Day). Hillary Clinton became the first Democratic candidate to enter the 2016 presidential election race. Should Hillary Clinton become the Democratic nominee and win the presidency, she will be 69 on January 20, 2017 (Inauguration Day). Age has been mentioned regarding Mrs. Clinton. But, is Hillary Clinton the oldest person running for office in 2016? Harrison died 9 days after becoming ill. Harrison was the 9th President of the United States. Abraham Lincoln was the 16th President of the United States, serving from March 4, 1861, until his assassination on April 15, 1865 by John Wilkes Booth. James Abram Garfield was the 20th President of the United States, serving from March 4, 1881, until his death by assassination September 19, 1881 by Charles J. Guiteau. Warren Gamaliel Harding was the 29th President of the United States and died from a sudden heart attack in his hotel suite while visiting San Francisco at around 7:35 p.m. on August 2, 1923. Franklin Delano Roosevelt (FDR) was the 32nd President of the United States and died on April 12, 1945. On March 29, 1945, Roosevelt went to the Little White House at Warm Springs, Georgia, to rest. On the afternoon of April 12, Roosevelt died from a massive cerebral hemorrhage. Prior to Franklin D. Roosevelt, few Presidents attempted to serve for more than 2 terms. FDR became the only president to be elected to a third term and in 1944, during World War II and later won a fourth term but, died a year later. A few states voted to reject the amendment: Oklahoma and Massachusetts. The following states took no action to consider the amendment: Arizona, Kentucky, Rhode Island, Washington, West Virginia. John Fitzgerald Kennedy (JFK) was the 35th President of the United States from January 1961 until his assassination on November 22, 1963 at 12:30 p.m. Central Standard Time in Dealey Plaza, Dallas, Texas. 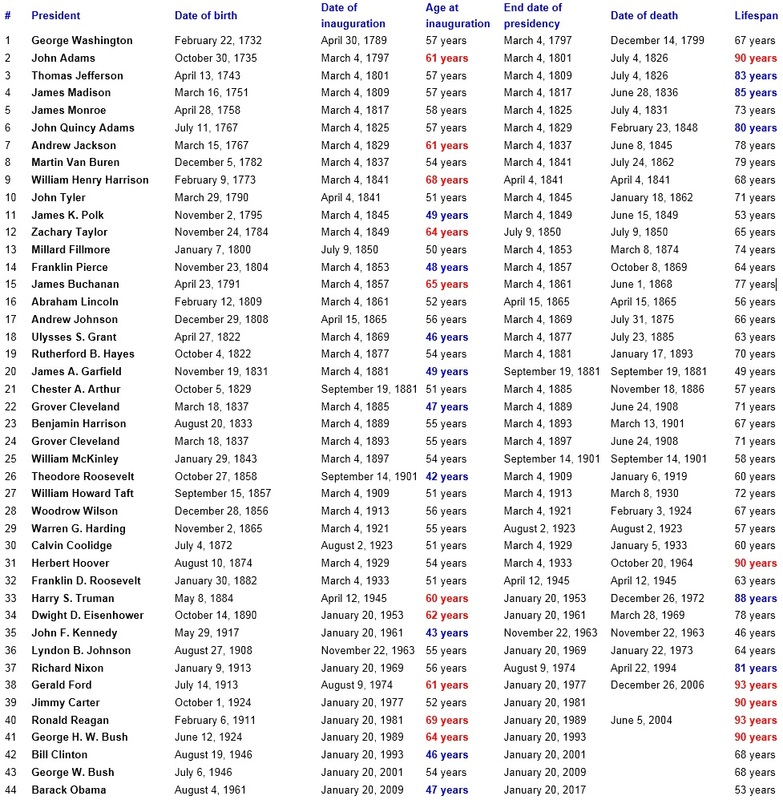 Obama or Romney: History has shown, by the ages of most US presidents, younger does matter.